You're from here in beautiful Duarte, CA. Or, you're stopping in from Los Angeles, Pasadena, Glendale, or Burbank. Perhaps you're even making the trip up from Cerritos. No matter where you hail from, Universal Mitsubishi is your destination for the pre-owned Mitsubishi or off-brand used car, or even the certified pre-owned vehicle you've been looking for. We make it our business to achieve that result, and with a customer-centered, service-driven experience that's both highly informative and distinctively memorable. Likewise, we showcase plenty of off-brand pre-owned vehicle options to accommodate a budget, from BMW, Chevrolet, Dodge, Ford, Hyundai, Kia, Mercedes-Benz, Nissan and Toyota, among others, as well as pre-owned offerings from Mitsubishi and certified pre-owned Subaru vehicles. 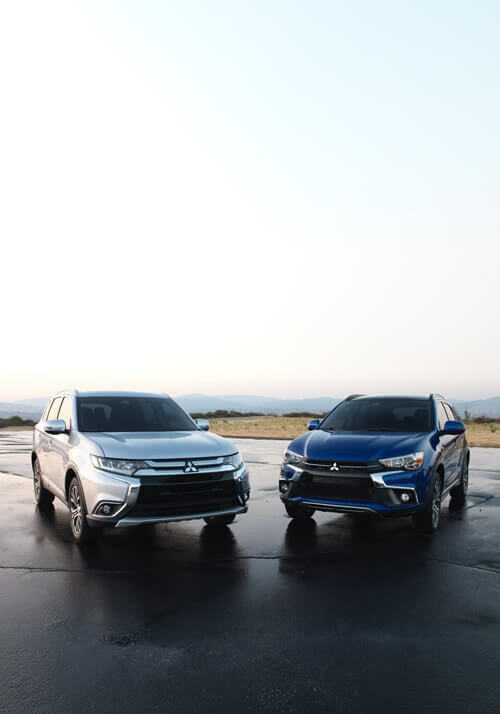 And if you're looking for apex value among new and used vehicle specials, or an incentive to entice on a Mitsubishi or other make, Universal Mitsubishi is here to deliver. Universal Mitsubishi would like to express our sincere gratitude for visiting our website. Our relationship with you and commitment to helping you enjoy the car of our dreams every mile you travel - Those are the most important aspects of our business. Sure, we love the new Lancer, Lancer Evolution, Outlander and Outlander Sport and all or our pristine used cars. And yes, we're proud of our car service gurus' expertise and passion, time-tested Mitsubishi parts as well as our auto financing specialists' commitment to delivering flexible, custom-crafted car loans and Mitsubishi leases. But, our first and foremost goal is to make your car-buying and ownership experience better than any other you've had near Los Angeles, Burbank, Pasadena, Cerritos and beyond. If you're ready to answer the call of fun, style and peace of mind; be sure to contact us today. And prepare to have your expectations exceeded. We offer our customers the utmost in quality vehicles, sales and customer service. Our highly-trained staff members are friendly, knowledgeable and happy to thoroughly answer any questions or concerns you might have regarding billing, payment options, vehicle financing, vehicle availability and more. Our primary goal is to continue an ongoing commitment to superior service, ensuring the needs of our customers are always met. Please let us know if there is an area in which we can improve our business, as we constantly strive to enhance our Dealership for valued drivers like you.